It was expected that the result of the last appeal court would be acquittal for Sayed Parwiz Kambakhsh, but against all expectations the judge of the court sentenced him for 20-years in prison. This sentence was issued but the court didn’t mention directly the accusation of distributing an article on women's rights on the Internet which was said to be blasphemous. 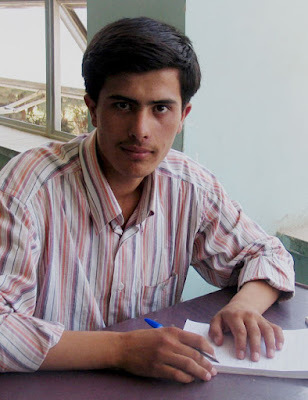 Seyed Parwiz Kambakhsh, arrested a year ago, was first sentenced to death by a court in Balkh. The interesting point for the last trial was the statement of the Balkh University teachers, as witnesses telling to the court that “Parwiz Kambakhsh was trying to disturb the lessons in the class, by questioning about Islam”. His friends have been denying about the supposedly blasphemous article and its distribution by Kambakhsh, but one of his classmates told the court that he had seen the blasphemous article with Kambaksh. Regarding the witnesses at the last trial and the long term delay by the courtjudge, the judge now issued the sentence of 20-years in prison for Kambaksh against every expectation. Many criticizers believe that disturbing and heckling basically exist in the classrooms, and that this is not a crime, but on the contrary should be discussed and solved in schools and at Universities. Many believe the detention of Kambakhsh is more political rather than related to the blasphemous article which he downloaded on the internet. Meanwhile many top religious figures say that distributing blasphemy is not blasphemy, while they point out that the sentence for Mr.Kambaksh is unjust and far from their expectations. Mohammad Afzal Noristani, the defense attorney for Kambakhsh, had already because the Court of Appeal is too slow to organize its sessions. The defense lawyer Afzal Noristani has called the result of the Court of Appeal an unjust sentence. He also said he will appeal to the Supreme Court: "During the hearing they did not consider that my client is not the author of the article." Afzal Noristani is going to deliver the documents for Sayed Parwiz Kambakhsh to the High Court for the final sentence. The imprisoning of this young student of journalism at Balkh University has provoked reactions worldwide, but the last sentence by the Court of Appeal is utterly disappointing.